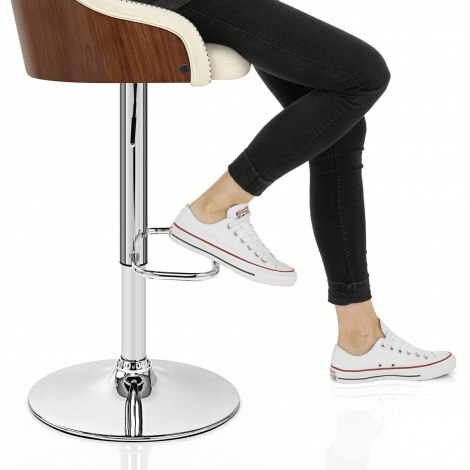 Introduce some individuality to your bar area with the Fusion Walnut Stool Cream. True to its name, the Fusion combines contrasting materials with ease, providing an exclusive piece for your interior. Full of charm, cream faux leather covers the seat, which offers superb comfort thanks to its medium backrest and dense padding. The backrest has a walnut finished bentwood shell, which curves to form two encompassing arms complete with zigzag stitching and piped edging. 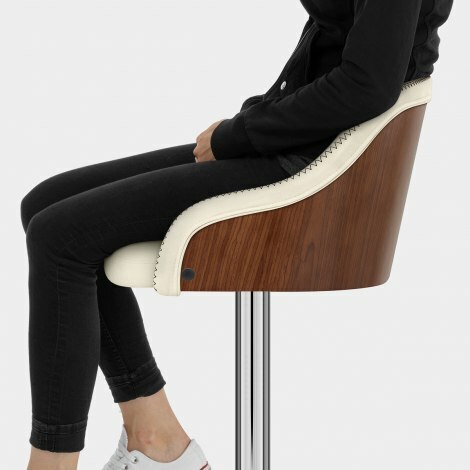 Supporting the seat, the mirrored chrome column includes a gas lift mechanism for adjustable height, along with 360-degree swivel, and a rectangular footrest. The round domed base creates a strong and sturdy design, and includes a protective ring underneath to help preserve your floors. "Superb. I love the new stools"
Great product, easy to assemble, fast delivery, will definitely shop at Atlantic again. I purchased the fusion cream stool recently after visiting the showroom in Birmingham. 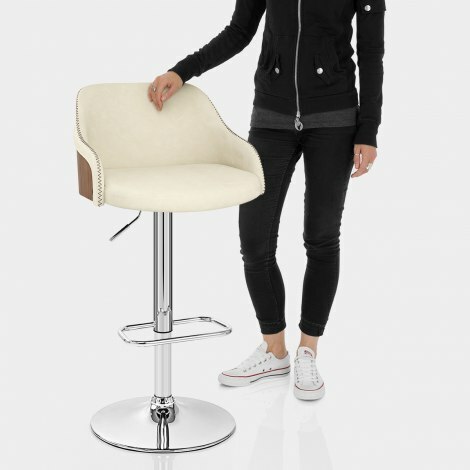 The stool is just what I was looking for, the quality is very good. Superb. I love the new stools -they look fantastic in my newly decorated dining room. The service was excellent from Atlantic Shopping. Extremely helpful and efficient. I would definitely recommended you use them.